← What is Resistance, Really? 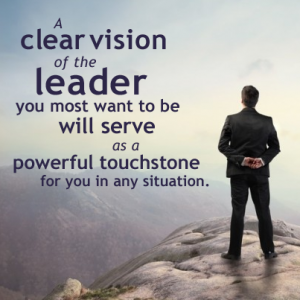 Are You a Leadership Force? What does it mean to be a leadership force? I define being a force as a leader’s consistent display of what is sometimes called executive presence. So, what does it mean to have executive presence? Let’s start with presence – a word that is ubiquitous in current leadership literature because it is so important. To me, leaders with presence have the skill to stay grounded and lead powerfully on a regular basis. At the same time, they have ability to stay true to themselves. They are comfortable in their own skin. Even if they receive information that ruffles them, they regain their composure quickly. Yet, leaders with presence are more than just authentic and grounded. They also have the capacity to be clear, stay focused and relate to the rest of us. These leaders are not distracted. Instead, they hold to their beliefs as they remain in the dialogue that is their work. They do this through corporate highs and lows. They do it through professional relationship highs and lows, too, whether those relationships are one on one, inside a team, or in a larger organizational setting. When the word executive is attached to presence, descriptions like these usually follow: confidence, gravitas, charisma, competence, etc. To me, all these adjectives sum to one thing: poise. Just how important is executive presence? If we subscribe to the theory that leadership is almost exclusively about relationship with oneself and with others, then we can see that executive presence is a key competency for anyone who leads in this – or any – environment. This entry was posted in Blog and tagged Attitude, Courage, Executive Presence, Focus, Force, Healthcare, Leader, Leaders, Leadership, Management, Manager, Nurse, Nursing. Bookmark the permalink.